The ohka weapon, termed the "baka" (crazy) bomb by Americans, has always intrigued both Japanese and Americans. Even though the Japanese Navy deployed the ohka weapon only to a limited extent near the end of the war and with minimal results, the ohka quickly gained notoriety as the ultimate suicide weapon. A mother plane carried the ohka piloted glider bomb, and a kamikaze pilot entered the glider if the mother plane got within range of enemy ships. The pilot faced certain death after release from the mother plane, as three rocket engines accelerated the ohka to over 550 miles per hour while he tried to guide the weapon toward an enemy ship. This book tells the fascinating history of the 721st Naval Flying Corps, known as the Thunder Gods Special Attack Corps, whose men manned the ohka weapons and the mother planes. 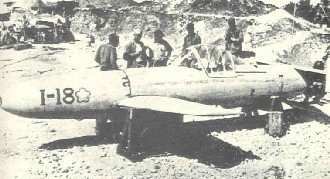 The idea for the ohka human-guided missile came from a Navy sub-lieutenant, who in August 1944 presented his rough drawing for the weapon and mother plane to an officer at the Naval Aeronautical Research Laboratory. The officer doubted the effectiveness of such a weapon, primarily due to the mother plane being vulnerable to enemy attacks since the weapon's weight would greatly slow the plane. Regardless, the Naval Aeronautical Department, looking for a super weapon that would turn the tide of the war in favor of Japan, approved trial production of the manned bomb. The ohka's production and deployment experienced many setbacks and delays, including the sinking of two Japanese carriers carrying ohka bombs on November 29 and December 19, 1944. The first Thunder Gods mission finally took place on March 21, 1945, but American fighter planes shot down the Japanese planes carrying the ohka weapons. The mission resulted in 160 Thunder Gods members, including 15 ohka pilots, losing their lives. Based on the failure of this large-scale ohka attack, Navy leaders decided that part of the Thunder Gods Corps would be assigned to fly special attack planes loaded with bombs. The new group, named the Kenmu Squadron, achieved relatively more success than the ohka bombs in destroying American ships, but American planes and antiaircraft fire also shot down many Kenmu Squadron fighters and bombers before they could execute their kamikaze attacks on ships. Naito provides exceptional insight into the kamikaze pilots' desperation and contradictory feelings as the Japanese military suffered devastating loss after loss. He spent four years researching and writing this book, originally published in Japanese in 1982 under the title of Ohka: The Merciless Special Attack Weapon (Ohka hijou no tokkou heiki). The permanent manager of the Thunder Gods Association writes in the Preface, "The Association of Former Thunder Gods Corps Members regards the book as the only accurate record of the corps and the most creditable of all the existing publications related to the Thunder Gods" (p. 16). Although some people may suspect the objectivity of a book with such a glowing official endorsement, Naito glosses over none of the weaknesses and contradictions of the ohka program. He gives a balanced treatment of the conflicting opinions regarding the development and deployment of the ohka suicide weapon. Several short personal vignettes throughout the book depict the doubts and frustrations experienced by Thunder Gods Corps members. For example, on the way to the airfield, the leader of one of the Kenmu squadrons "alternately boasted that he would skim the surface of the sea and crash into the exact center of his target, and then cried out, 'Mother! The Navy is trying to kill me!'" (p. 172). In another example, one pilot was close to tears when the young daughter of a farm family near the base made a cherry blossom of pink flannel and sewed it to his flight jacket. He gave the girl's mother an envelope full of money for the kindness the family had extended to him during his stay at the base. He explained he had no more use for the money. The book's English subtitle, "The Kamikaze Pilots Tell Their Stories," is misleading in a couple of ways. First, the book concentrates on the history of the Thunder Gods Corps, which was only one part of the Navy's kamikaze special attack corps. The use of "the kamikaze pilots" in the subtitle makes it sound like the book will cover the entire range of Japan's kamikaze operations, but it only briefly mentions kamikaze attacks made by the Army and by other units in the Navy. Second, the subtitle implies that this book will have personal accounts written by the pilots. Although the author made extensive use of detail notes taken by Motoji Ichikawa, one of the pilots in the Thunder Gods Corps, the story is told mostly in the third person, with some quotes and dialogue by the pilots. The history of the Thunder Gods Corps has many complexities and details, but this book has several valuable features to aid readers. The front of the book has a map with key military bases (over thirty) in the ohka program, which helps readers to follow the different divisions and squadrons of the Thunder Gods Corps as they move from base to base. The front also has two pages listing key officers who promoted kamikaze attacks, technical officers involved in developing the ohka, and key members of the Thunder Gods Corps. A four-page chronology of key dates and sixteen pages of historical photos also contribute to understanding the ohka weapon and the history of the Thunder Gods Corps. This excellent translation of the history of the Japanese Navy's best-known and largest special attack unit, the Thunder Gods Corps, provides many insights to the personal opinions and emotions of the men who participated in kamikaze attacks. 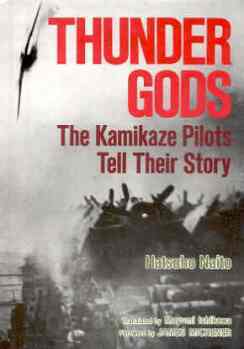 Readers may better appreciate this outstanding account by first reading a general history of Japan's kamikaze operations, since this book focuses on the story of the Thunder Gods Corps.